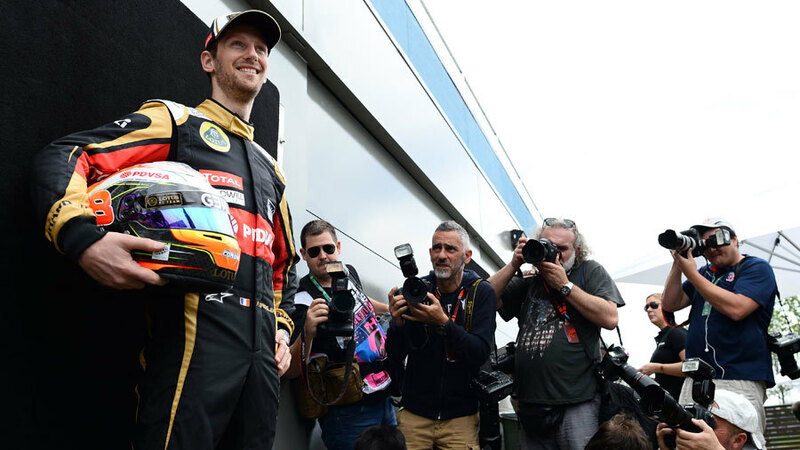 Romain Grosjean says Lotus has made more progress on the chassis side than it has be swapping power units from Renault to Mercedes this year. Lotus' form disappeared in 2014 as the team struggled to get to grips with the unreliable Renault power unit before a major issue with the chassis was discovered midway through the season. The move to Mercedes brings a power advantage and a fuel efficiency saving, but Grosjean says it is actually the chassis that has impressed him most about the new E23. "Most of the people are talking about the biggest change being the engine, but as a driver the biggest change is what Enstone has done with the chassis," he said. "Last year was a bit unpredictable and you couldn't go in a corner knowing what is going to happen. Now is the complete opposite. You know that if you have a bit of front lock it is going to understeer and if you have a bit of rear lock it is going to oversteer, so you can always push to the limit which is really nice. Last year that wasn't the case. I think to me that's the biggest difference." He admitted the 2014 car was like a waking nightmare. "The biggest difference is that we were in a very different position. Last year was like being awake in a nightmare and this year things have been very different. The car is responding well, testing went very well and we are very excited to start the season. We have a good package to start all of that, so I'm looking forward. "The 2015 car is much closer to the 2013 than the 2014 at the baseline and how it drives. If we can put more downforce and improvements it can be a really good car, but last year from the beginning we knew that something was not right and we couldn't really find it."